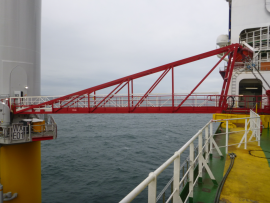 Offshore engineering and technology company Osbit Ltd has completed its first project for Seajacks with the delivery of a bespoke access system for the company’s offshore wind farm installation and maintenance vessel, Seajacks Scylla. 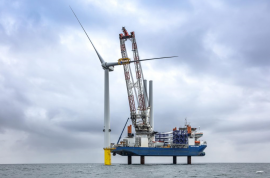 Siemens Gamesa has modified its new SG 8.0-167 DD offshore wind turbine to address conditions across the Asia-Pacific region. 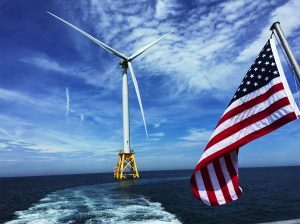 On 26 June, the U.S. House of Representatives’ Committee on Natural Resources will hold a legislative hearing on a bill that would amend the Outer Continental Shelf Lands Act to provide for a leasing programme for offshore renewable energy. 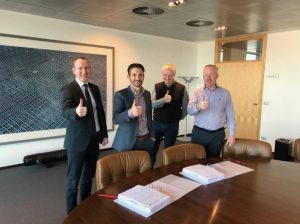 Jan De Nul has reported a 2017 decline in the dredging market which, together with challenging conditions in the oil & gas industry, left a mark on its financial results. 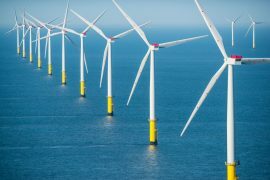 In the light of this, the company emphasised the role offshore wind had in its performance last year, adding that it sees further growth in the offshore renewables market, where its business is no longer restricted to Europe. 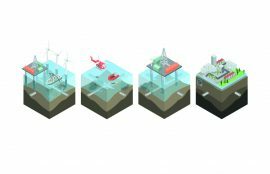 Coupling of the existing oil and gas infrastructure with offshore wind farms in the North Sea can be technically and economically feasible, according to research carried out under the TKI North Sea Energy programme. 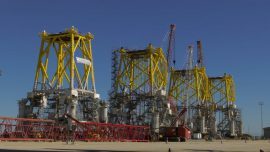 Ørsted has shared a photo of four substation jacket foundations currently under construction at Dragados Offshore’s yard in Spain for the 1.2GW Hornsea Project One offshore wind farm. 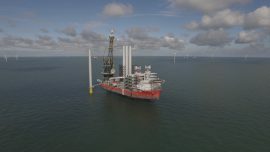 Siemens Gamesa has launched a new offshore wind turbine – SG 8.0-167 DD – said to increase the annual energy production (AEP) compared to the 7MW model by 20%. 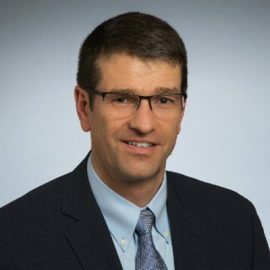 The 8MW turbine is expected to be market-ready in 2020. 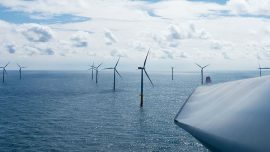 Innogy announced three pretty big news about its Galloper offshore wind project today, 7 November. 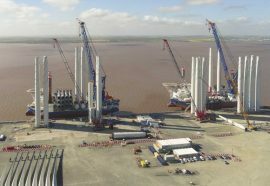 The wind farm generated the first power on 5 November, 38 wind turbines are now installed at the site, and the project’s capacity has increased by 17MW. 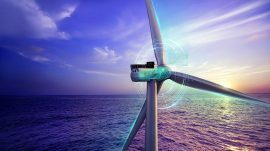 From April to September 2017, Siemens Gamesa marked strong performance in its offshore business with an increase of 16% in revenues. 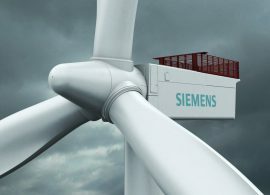 This contrasts the company’s overall results for the period, as Siemens Gamesa reports a 12.3% fall in revenues. 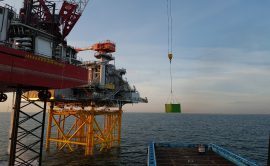 Orga has provided aviation obstruction lighting solution for Statoil’s 30MW Hywind Scotland Pilot Park, the world’s first commercial floating wind farm. 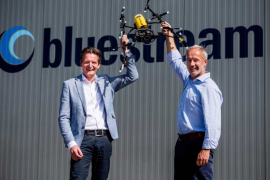 Den Helder-based inspection services provider Bluestream has teamed with compatriot unmanned aerial vehicles (UAV) operator Skeye BV to jointly provide visual inspection services and geographic data acquisition for offshore assets using UAVs. 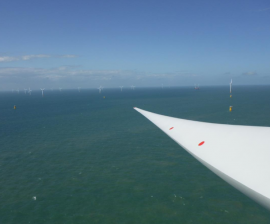 Galloper Windfarm Ltd (GWFL) has obtained an approval from Tendring District Council’s (TDC) Planning Committee to set up a temporary helipad at Great Oakley Lodge, Great Oakley, to serve the Galloper offshore wind farm. 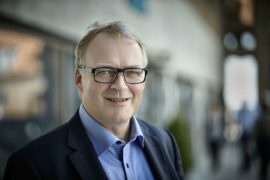 Offshore WIND Conference has confirmed Bent Christensen, Vice President, Siemens Gamesa, as speaker at this year’s event. 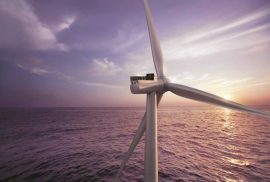 In the third quarter of fiscal year 2017 (from April to June 2017), Siemens Gamesa Renewable Energy’s revenues were down 7% year-on-year. 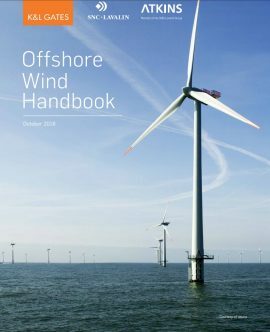 Revenue from the sale of wind turbines decreased by 9%, reflecting lower sales volumes of 1,950W (-25%), as a result of temporary market conditions in the onshore business, as well as normal business volatility in the offshore market, the company said. 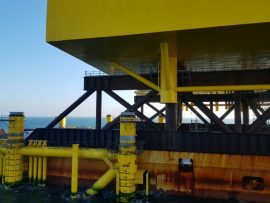 Rhenus Offshore Logistics has started working on its first project out of its new offshore base at the port of Great Yarmouth, carrying out supply runs during the commissioning of the offshore substation at the 336MW Galloper offshore wind farm. 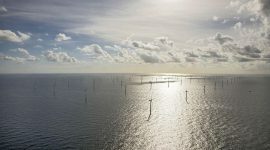 Dutch provider of aviation obstruction lighting Orga BV has installed its LED obstruction light system on the recently inaugurated 600MW Gemini offshore wind farm. 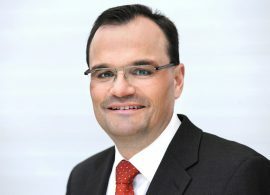 At a meeting held on 8 May, the Board of Directors of Siemens Gamesa Renewable Energy appointed Markus Tacke as the company’s new Chief Executive Officer (CEO) with Michael Hannibal, previously CEO of the offshore division at Siemens Wind Power, now CEO of Siemens Gamesa’s offshore business.